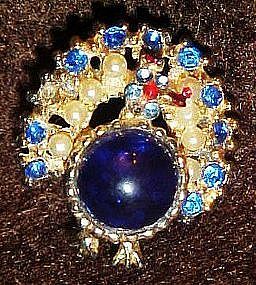 This great little vintage peacock pin sports a sapphire blue jelly belly center, matching blue rhinestones, and little faux pearls. Measures 7/8" x 1". Set in gold tone setting. All stones intact and back works well.